SNAFU! : F-35B does "backwards" landing on the Queen Elizabeth Class Carrier...are they practicing running away? F-35B does "backwards" landing on the Queen Elizabeth Class Carrier...are they practicing running away? A British F-35 pilot has pulled off what the Royal Navy called a "milestone" maneuver, executing a backward landing on the deck of Britain's largest warship, the HMS Queen Elizabeth. 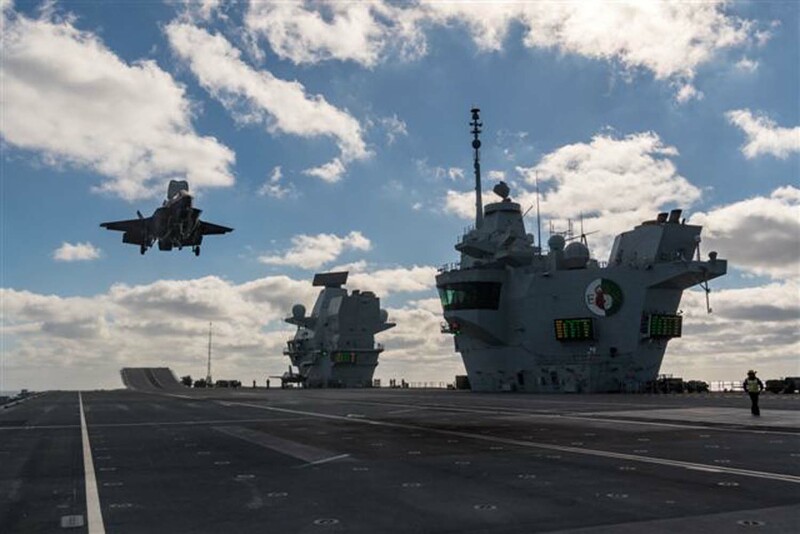 The Royal Air Force test pilot Squadron Leader Andy Edgell flew his American-made F-35B Lightning II Joint Strike Fighter across the bow of the large British aircraft carrier. The pilot then brought the short-takeoff-and-vertical-landing aircraft to a hover over the deck before gently setting it down, the Royal Navy said in a statement Monday. He said the F-35 jump jet "handled beautifully." The aviation achievement is intended to give the carrier crew additional options in the event of an emergency. Given the nature of the aircraft, the landing was not radically different from more conventional alternatives. The title was tongue in cheek and a bit of click bait...but seriously! Why would an aircraft carrier NOT sail into the wind? Asking the question, "are they practicing running away," might be a bit nonsensical but I'm having difficulty understanding how this gives additional options in an emergency unless the emergency is they're running from a fight. Clue me in on this one cause I'm at a loss.